What do the Global Goals look sound like in action? The three Essex Middle School students who delivered the keynote address at the 2nd annual Cultivating Pathways to Sustainability conference spoke from the heart. They also spoke from experience, having spent the previous year using the #GlobalGoals to address hunger in their communities. Yeah, I feel like a lot of people will just look at the goals and be like, “Oh, that’s great.” But actually being able to do something about it and share that and, hopefully, inspire other people is really good. We meet three amazing middle schoolers who are using their learning — and their voices — to bring global change to their community. In 2015, the United Nations introduced 17 Sustainable Development Goals, goals they believe that, if met by 2030, have the potential to end all forms of poverty, fight inequalities and tackle climate change. Those are some lofty goals for the planet, but here in Vermont, educators and students are embracing that challenge. Last year, Essex Middle School educator Lindsey Halman and Peoples Academy High School teacher Kate Toland organized a statewide conference to provide space and structure for students to explore school-based projects that work towards one of the 17 Sustainable Goals. Lindsey: My name is Lindsey Halman. I’m a middle grade educator at Essex Middle School. I think it was now, about two and a half years ago, myself and Kate Toland, who is a high school teacher at Peoples Academy, and Jen Cirillo at Shelburne Farms. We had a meeting of the minds. We kind of cooked up this concept of what would happen if we had youth come with an adult partner to think about these goals and what they could do in their own school communities to make change. Thus, Cultivating Pathways to Sustainability was born. At that first conference, 80 students from 8 different schools showed up. They opened their minds to one idea: that they could use a specific framework of global pathways to guide them in making concrete change in their own communities. This year, the conference nearly doubled. 120 students from 13 schools attended. And the conference opened with a pretty amazing keynote performance: slam poetry and testimonials from three Essex Middle School students. Abby, Marie and Raquel are three students at Essex Middle School who took part in last year’s conference and then used the Sustainable Development Goals as a framework for undertaking personally meaningful projects that they hoped would better their own communities. We spoke with these three to hear a little more about their projects, and what the Sustainable Goals meant to them. “So, I was at the conference last year and I had no idea what I wanted to do for my year-long project. So my goal was to create a system for food-insecure families to have access to healthy snacks over the weekend. Because many students rely on school for breakfast and lunch. Abby: My name’s Abby. I go to Essex Middle School and I’m in eighth grade. I did a project with making bags, sewing bags out of recycled materials like coffee bags, burlap sacks and recycled oil cloth. It was working on zero poverty and no hunger and so I came up with it because I really like sewing and designing different things and I really wanted to focus on those two goals because they really matter to me. Sustainable Development Goal Number One: End poverty in all its forms everywhere. Sustainable Development Goal Number Two: End hunger, achieve food security and improved nutrition and promote sustainable agriculture. Abby: Well, I have always loved doing arts and crafts and I have a creative mind and so I got a sewing machine on my 12th birthday. My mom had no idea how to sew. So my grandma came and I was living in a foreign country so my grandma came and she taught me and, then, like right from the first day, I learned. I just loved it and I’ve really never stopped and it’s kind of, people are like, “Well, that’s weird like you’re 13 and you sew,” but it’s really a good skill to have and I just love it. The base of the bag was a burlap sack and it was from Green Mountain Coffee they actually donated all of the bags for free and, then, the straps were like a green oilcloth and I used oil cloth because it’s super sturdy. When you start out your project, I had no idea what I was going to do and it was frustrating and, then, my teacher, Lindsay, was like, “Well, just pick like two goals that you are focusing on,” and it just– after you picked the two goals, you kind of start going like, “Oh, I could do this, I could do this.” So it was really just a starting point. We had all year. And we started really in the first week. We just started right off on projects. And we had probably an hour and 30 minutes every single day to work on it. But it also took a lot of out of school time, a lot of work at home and with our curriculum, we didn’t have homework so it was just really easy to go home and work on your project just a little bit every day. Like fellow keynoter Abby, Essex Middle School student Marie also addressed hunger and poverty in her community. She and two other students partnered with Burlington-based non-profit COTS — the Committee On Temporary Shelter — in raising funds to help housing insecure Vermonters, as laid out in Global Goals number one and two. End hunger, achieve food security and improved nutrition and promote sustainable agriculture, and end poverty in all its forms. “I did what we call an Empty Bowls Project. I teamed up with a couple of my friends, and we really wanted to do it around Zero Hunger because so many people don’t get to eat and we’re really lucky we get to eat all this food but some people aren’t fortunate enough? Marie: I’m Marie, I’m in eighth grade, I go to EMS or Essex Middle School. I did like an empty bowls sort of thing, where me and my two partners, Natasha and Michaela. We made these bowls, we had a big potluck with all our team to raise money for COTS which is a program that helps with pretty much like everything. If you need a home, they have shelters. If you need food, they have food for you. So, they really help with what you need. Then we held that event to raise the money for them, so they can help. A lot of people don’t have food, they don’t have a place to sleep, they don’t have enough money. So, we were thinking, “You know, if we do some sort of event maybe for one of these people that runs an organization like this, it will be easier on us, and it will be easier on them as well because they’re just collecting what we raised. So, we decided on zero hunger and no poverty that way. The students in Marie’s group made each and every bowl for the fundraiser with their own two hands, and with help from their art teacher. Sustainable Development Goal Number Four: Ensure inclusive and quality education for all and promote lifelong learning. Raquel: I was in a program called TRY. It stands for Teens Reaching Youth. It was all about teaching little kids like fourth graders about… I chose to teach them about the food systems. So, it was like how the… the main concept was how the food in their lunch box got there. How we can help make that food help the environment. So, we each got like taught the different lessons so we know how to teach them to other kids. After that, we had to schedule our own appointments and choose our own classrooms where we wanted to teach. When Raquel chose to work with classes at Founders Memorial School, she reached out to some of the teachers there. Over email, she explained the aims of the program and what lessons for the younger students could look like. Raquel: Our first lesson was about… all about how the food in the lunch box got there. Like, we were just introducing the main concepts. So, we read a book to them that had… it was focused on corn, I think. So, it was just like, the plant, the seed. Then like the plant, then they gets harvested, then they gets transported, then they gets processed, or packaged. It goes to supermarket, from the supermarket, it goes in to your lunchbox. The little kids liked it. It was really fun. There was this one where we had to teach them about soil, and the layers of it. We had this activity where we… you put Cheerios, raisins in to a cup to show the different layers. They just loved that. There was this one time where we were overlapping into their recess time, we felt really bad because they don’t want to over lapping into their recess time, but they were really happy about it. They were like really excited. It was great, because we were learning along with them, because it was our first time teaching. So, we just learned from our mistakes. It helped me with like public speaking and sharing my ideas because I need to do that more in school, because I’m just a shy in person. So, it help me learn to use my voice, and that it’s okay to use my voice. The most satisfying part of the project was seeing the kids enjoy it. To be honest, I thought, “Okay, were going to go teach this little kids, it’s going to be hard because they’re not going to want to focus. They’re going to be talking over us.” Being a teacher is hard. But it was good to see them really get in to it. It was to see them smile once they got it. That was probably the best part. While you’ve been listening to this story, students all over Vermont have been hard at work on their own Sustainable Goals projects, taking these huge global ideas and finding concrete ways to apply them in their own communities. Since we were already interviewing these experts on the process, we asked our three keynoting students for one piece of advice they could give to other students working on these Global Goals projects. Here’s what they said. Abby: The advice I would give would be to be creative and to just know that you are going to make an impact on the community even if it’s really small. It’s still a step forward. I mean I just really thought about what it’s going to do for the community like it’s going to help people so, yeah. Raquel: I would tell them to be flexible and that their ideas are going to change, and that’s okay. It doesn’t mean that they’re indecisive or that, they’re not sticking to the plan. It just means that their ideas are changing, that’s okay and that they should just make it work because they can and it will help. It’s okay to change your mind. Marie: Yeah. Kind of like she said, if some things not flowing, don’t be afraid to change your entire thing completely or make large changes because it will help, and it will work. Also, don’t be afraid to ask for advice from other people, or other teachers because they can always give you really good advice. It will really help you out that you didn’t think of. 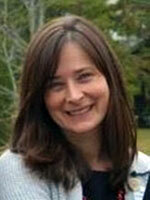 Lindsey Halman, too, has advice for students. Lindsey: The piece of advice I’d give students is that this is real, this is real work. Things aren’t going to change overnight but every little bit is going to make a difference. 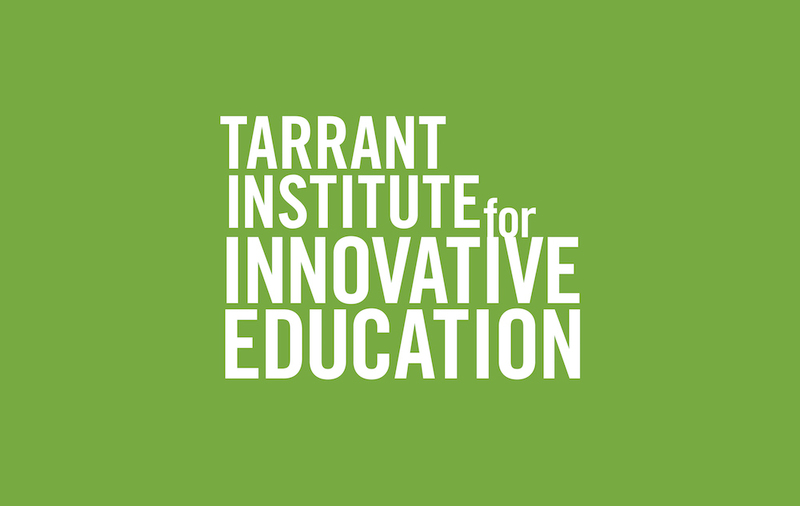 The 21st Century Classroom is the podcast of the Tarrant Institute for Innovative Education at the University of Vermont. 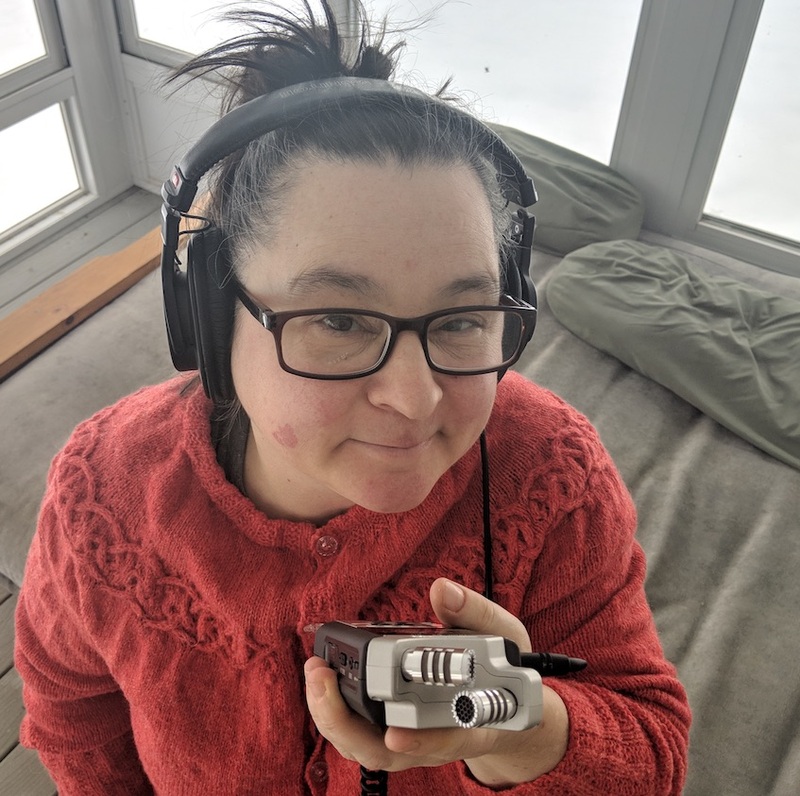 This episode was produced by Audrey Homan and Emily Hoyler. Huge thanks go out to Lindsey Halman and Kate Toland, along with Abby, Raquel and Marie. We can’t wait to see what you all come up with next. Our theme music is by dirtwire, with additional music for this episode (“Light” and “Leaves”) by Anoop Hariharan. Both tracks are licensed under Creative Commons 3.0. How have your students been tackling the #GlobalGoals?